Description: Keep your loyalty, and Nulgath shall grant you the most amazing of boons. These wings are but a taste. 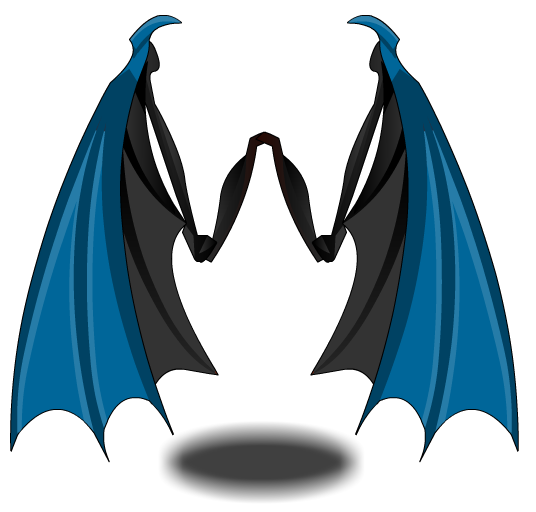 These wings do more damage against dragons, humans, and give you a bit of extra reputation from each battle. Wings are Color Custom to Base Color. Inner part is Color Custom to Trim Color. When equipped, this item provides a 2% 5% 2% bonus to Reputation gained from quests and does 5% 15% more damage to Dragon Monsters, and 5% more damage to Human monsters. This item does not do bonus damage to Human Monsters. ArchFiend Wings of Nulgath +5. Thanks to Apus, GuardMice and Wild Bostero.